Stuttgarter Zeitung kopfhörerfm - Ja, sie machen wirklich Rockmusik “SkyDivers” enthält fünf Songs, die sich aber fast wie ein ganzes Album anfühlen, weil sie so vollgestopft sind mit Ideen, Melodien, unerwarteten Brüchen. Doch diese Musik ist nicht l’art pour l’art, sondern sie ist da, um gehört und gemocht zu werden. Davon kann man sich auch live überzeugen – und feststellen, dass ein so komplexer, dichter Sound von nur drei Musikern gemacht wird. Diese Platte ist auch und zuallererst als Gesamtkunstwerk zu sehen. Es gibt da nicht die eine Hymne, den einen Killersound, und der Gitarrist und Sänger Costantino Campello Squeo ist gerade so gut und wichtig und präsent wie seine Bandkollegen Nico Mania (Schlagzeug) und Tobias Sippel (Bass). 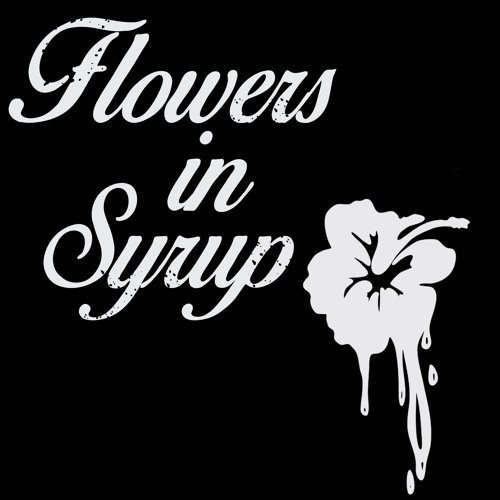 Dass Flowers in Syrup sich konsequent nicht auf den deutschen Markt beschränken, sondern zumindest die englischsprachige Alternative-Rock-Szene ansprechen, tut der Musik nicht Unrecht und ist auch aus geschäftlicher Sicht kein Fehler. Jedenfalls, um zur Ausgangsfrage zurückzukehren: Wenn das aus Alternative Rock geworden ist, hat die Richtung gestimmt. Zeit, sich in dieses Genre mal wieder reinzuhören. Flowers in Syrup wären ein guter Einstieg. Jan Georg Plavec http://bit.ly/2rrMcAh forksterocks.net: A Diversified Alternative Rock Greatness, from post-rock, hard rock to noise rock orbits. One characteristic that we felt all along that separated Flowers in Syrup from most of the pack was a music maturity fullness. When we recently were notified from their management that they would be purchasing our services again for helping in promoting their latest music we were thrilled, but even with being personal fans of their music honestly I don’t think we saw this coming and ‘wow’ is FORKSTER himself personally thrilled to bits in providing you all the rocking goods on this massive EP’s flair. “SkyDivers” is a music masterpiece. The EP superbly gleams out an all- powerful rock grandeur with an exceptionally gifted experimental swirling madness. A lot to do with creating this gem was how the trio from Stuttgart, Germany, Costantino Campello Squeo (vocalist/guitarist), Nico Mania (drummer) and Tobias Sippel (bassist), let us all worry about what we categorized it as and they magnificently went on to make a record that kept to their standard alternative rock platform, but for the more diverse alt-rock fans you’ll hear and absolutely ‘rock out’ for their post-rock brightness, hard rock crunch and their atmospheric noise rock charm. This undeniably gifted music EP has taken their musicianship maturity and overall song structures to the comparisons now of atmospheric rock goliaths such as U2 and Radiohead. They have that desire and extra kick in the music tank to push the experimentation bar, but at the same time establish entire efforts where every song on it is worthy and wanted for their own listening purposes from playing out universally on radio stations to music appreciators everywhere who want them now in their constant/daily music playlists, gargantuan music release!